A congregating area for a revitalized community. 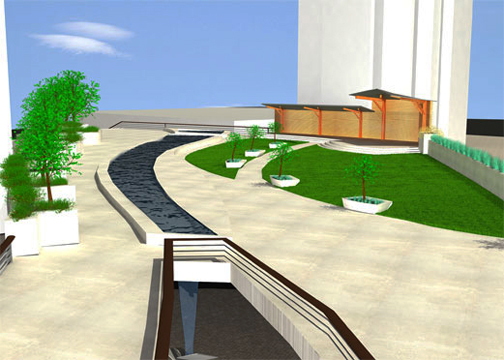 Green space, meets performance space, meets play space. Beneath the elevated park the traffic intersection is surrounded by covered paved areas to house local street markets or provide cover in inclement Pittsburgh weather. a shallow stream runs through the upper level of the park, becoming a waterfall at one end visible from the lower level. 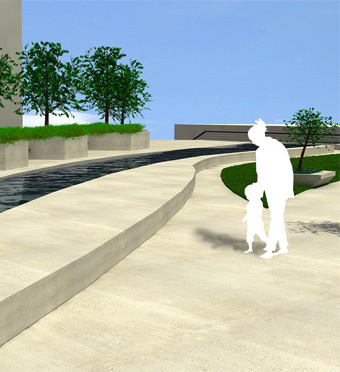 E.Liberty Commons is a park design concept for the East Liberty neighborhood of Pittsburgh, PA. 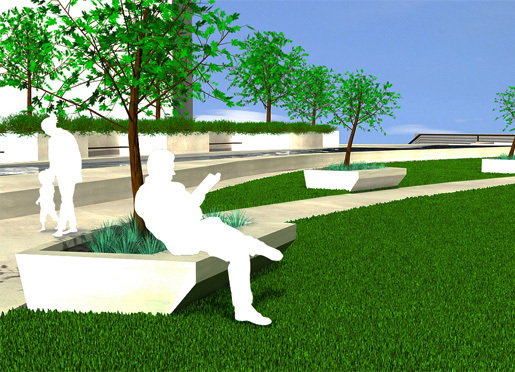 The elevated urban park was designed to give back community space that was taken away in a 1960s urban renewal project. 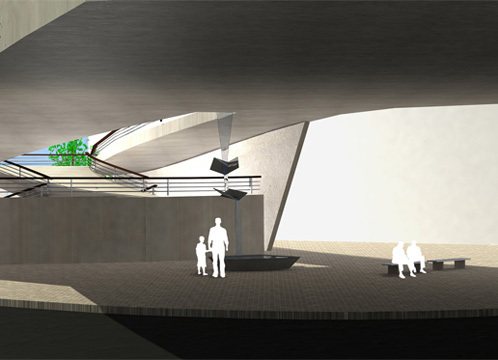 The design incorporates multiple performance spaces, reading benches, an art display case and a covered market area. The concept was designed for the World Carfree Network’s annual Carfree Zone contest in 2007 and will appear in the first 2008 issue of Carbusters magazine. If you would like to learn more please download the full process book.